Brick patio to the right of the home is a perfect retreat to relax or entertain. Come take a look. MLS#21631631. CENTURY 21 Scheetz. Willow Glen - Three car garage, stamped patio & firepit, cul-de-sac lot. Z-Ville Schools! MLS#21631378. F.C. Tucker Company. Royal Run - Homes has many updates within the last three years: Roof, Furnace, Dishwasher, Water Softner , Water Heater. Fully fenced back yard. MLS#21631429. Gemini Realty Grp Inc. The Sanctuary - Plumbing rough in for bath in basement. Bonus Room Upstairs. MLS#21631089. Coldwell Banker - Kaiser. Family room at back is additional great living space, and home office; 2 block walk to Main St. MLS#21630979. CENTURY 21 Scheetz. Walk to Rail Trail, Main Street & Boone Village shops & restaurants. MLS#21630406. Keller Williams Zionsville. Irishmans Run - See, Look, Love and Move today. MLS#21631029. RE/MAX Legends Group. Eagles Nest - Fantastic neighborhood with pool and playground. MLS#21629983. CENTURY 21 Scheetz. Rock Bridge - Relax in your private fenced backyard retreat. MLS#21630568. eXp Realty, LLC. 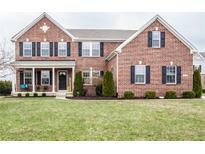 Village Of Zionsville - Walk out basement gives opportunity to customize to suit your exact needs and wants! MLS#21630925. Carpenter, REALTORS®. Northern Meadow - Walk to the Village or Turkey Foot Trail! No HOA fees. MLS#21630189. Liberty Real Estate, LLC..
Blackstone - Nice cul-de-sac lot and don't forget fantastic Zionsville schools. MLS#21628999. Eco-Realty Partners, LLC. 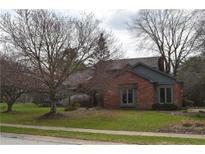 Convenient location close to 4-star Zionsville schools and easy access to interstate MLS#21630099. CENTURY 21 Scheetz. Stafford Point Royal Run - This house was a great home for us as our family grew over the past almost 15 years and we are sure it will do the same for your family. MLS#21630203. Mentor Listing Realty Inc. Roof is about 3 years old installed by Bone Dry Roofing. 2 storage sheds are included. MLS#21630016. APM Real Estate/American Prope. Move in just in time to enjoy spring blooming! Welcome home to Raintree Place! MLS#21628217. Front Porch Real Estate, LLC. Cobblestone Lakes Of Zionsville - Home is close to Zville Rail Trail, all 3 ZCS schools and Mulberry Fields. MLS#21628525. CENTURY 21 Scheetz. Huge storage barn and endless opportunities await you. Don't miss out! MLS#21629177. F.C. Tucker Company. Schicks - Three car attached garage. True Village treasure. MLS#21622903. CENTURY 21 Scheetz.